Unit 7010 at The Tennyson in downtown Tallahassee, Florida is minutes from downtown amenities and walking distance to restaurants and the Capitol. This unit contains a large master suite with walk in closet and bath as well as a second room with a pull down queen size Murphy bed, a closet and its own bath. 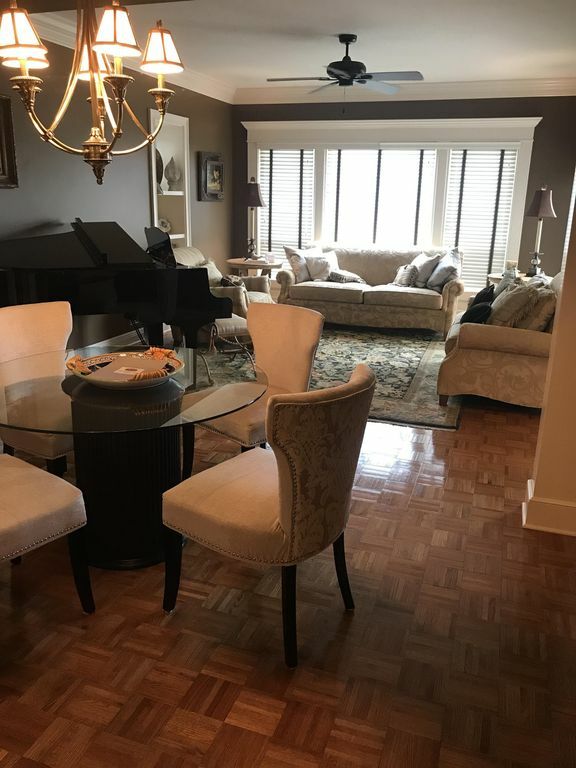 The fully furnished condo contains a television in each room as well as one in the kitchen and a baby grand piano in the living room. Washer and dryer inside the unit. Access to the business center and exercise room, concierge service, two parking spots as well as a storage unit in th parking garage. Secure, immaculate, and available April 2018 for lease.